Women work at a cashew nut warehouse in Abidjan, Ivory Coast, July 12, 2018. Picture taken July 12, 2018. Tanzanian President John Magufuli ordered the government on Nov. 12 to buy the country’s entire 220,000 tonne cashew nut crop at a 94 percent premium to market prices, saying he needed to support farmers. The decree followed a standoff with cashew nut processors, mostly from Vietnam, who said depressed prices of processed cashews meant they were unable to pay what Tanzanian farmers wanted. 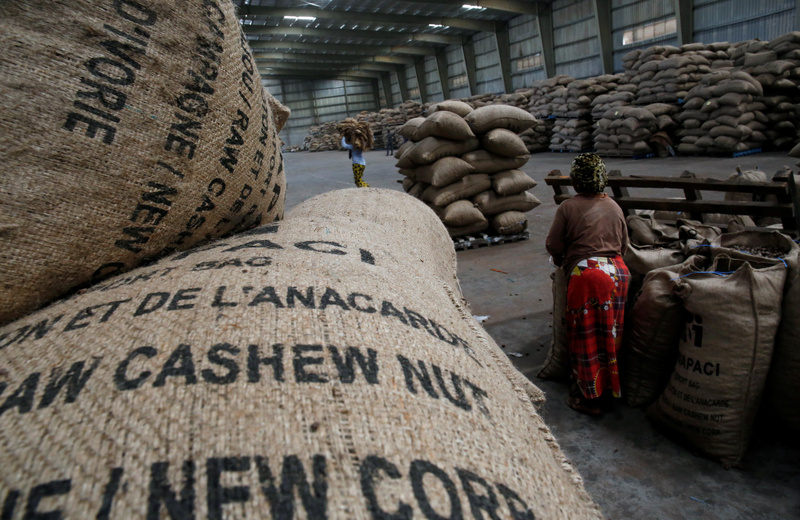 The East African country is only the seventh-biggest grower of raw cashew but is the only country with an October-December harvest, giving it some market clout. Prices of the processed nuts have risen nearly 10 percent to $3.80 per pound but are still too low to make Tanzania’s set price competitive, traders say.